Buy the WasteAway 800 online, and save time and money. Manufacturer’s RRP €960 – so buy here for BIG savings! WasteAway 800 macerators stations offers superior reliability, increased performance, and improved serviceability. They are the result of many years of development and continuous testing, and they set new standards. The grinders deliver added efficiency over and above the cutting blades in the other models in the range and can deal with items the blades cannot. The unique modular design ensures that servicing can normally be achieved on site, without the need to drain down the system. The WasteAway 800 model is suitable for new installations and for replacing an existing unit. 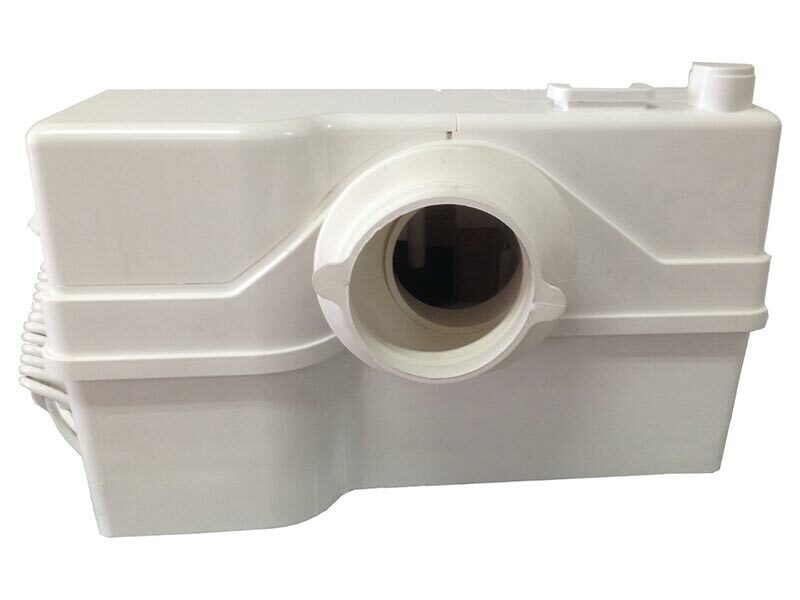 By offering the option of horizontal and/or vertical discharge connection to a variety of discharge pipe sizes, WasteAway 800 provides the solution to handling wastewater for any combination of WC, bidet, sink, shower, and washing machine. The cutting system of WasteAway 800 is designed to pump organic matter and also the inorganic materials occasionally discovered in a toilet. Why choose the WasteAway 800? A WasteAway macerator enables you to add extra facilities within your home. All you need is a water and an electric power supply. WasteAway macerators are easy, quick, and economic to install and allow you to add a number of different facilities. From simple set-ups such as a cloak room or shower room, to larger facilities such as a bathroom, or even a kitchen complete with dishwasher and washing machine. The WasteAway 800, along with all other WasteAway systems, can be bought online with the reassurance of dealing with the leading WasteAway distributor in Ireland.